Long time readers (I know there are some of you, Analytics wouldn’t lie to me) may remember a while back I used to post about what I learned from each book I read. I thought with was a better take on reviewing books, especially coming from the “if you have nothing good to say, say nothing” school of being brought up and, well, there are some pretty bad books out there. So, in the spirit of keeping things positive I decided to pick a few things I learned from a book as I’m old enough to be sure now that you will always learn something new if you pay enough attention. 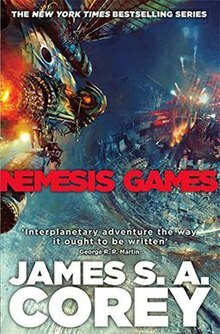 For those who don’t know, Nemesis Games is the fifth book in the Expanse series of sci fi novels, which follow Captain James (why is it always James?) Holden and his merry around the inner solar system in a hard sci fi version of our nearish future. To cut to the chase, you should read this series. 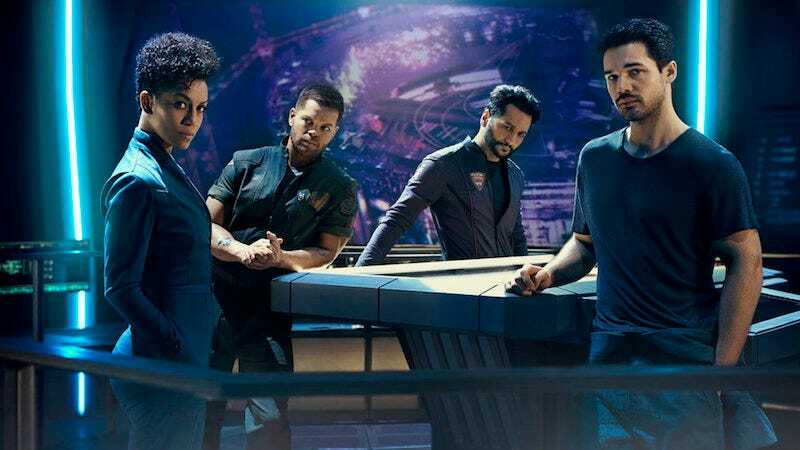 The hard and realistic application of politics over long distances has me pushing The Expanse series as Game of Thrones in space, and I’ve managed to get misters (they’re a writing pair) Corey a few extra readers (No need to thank me, but a names character wouldn’t go amiss). But, Nemesis Games in particular….. it’s often harder to learn something from a good piece of art then it is from a bad one. By definition, a good piece of art is good at more than one thing, so it can be difficult to pick exactly what was good about it. And that certainly is the case here. The pacing is steady where it needs to be, racing where appropriate. The action is mind blowing in its scope, without crossing that indistinct line into silly, and the characters are believable…. ah, there we go. Characters. Or, more specifically, the crew of the Rosy. Or even more specifically, the Captain, James (always James!) Holden. Here’s a thing – one rule writers are always told is avoid the White Knight protagonist. They’re boring, they avoid conflict. Bad bad bad. And Holden is about as cookie cutter a White Knight as they come. He always does the Right Thing, will never do anything which could hurt someone else, even if they deserve it, plays by every single rule, and will go out of his way to be honest accommodating. And yet, Holden manages to be the biggest conflict creator in the actual solar system. Corey gets around this by making Holden’s decisions be the creator of conflict in others. Semi spoiler alert for the first book, but him insisting on following his moral code of being open and truthful almost sets of a civil war int he first book. Twice. That neat little sidestep alone would make Holden a worthy main character, but Corey compounds the interest by giving him more complicated sides, in the form of his crew. We have Alex, the pilot acting as Holden’s regret, Naomi who gives him the awareness to question his own actions, and, my personal favourite, Amos, who ably embodies the amoral psychopath in us all. And without giving too much away, in Nemesis Games Holden is left on his own, bereft of his personality extensions he very much was left at the whim of the conflict he himself set in motion in earlier books. So, what did I learn from Nemesis Games? That there are rules to writing, but if you have a plan, sometimes they’re more guidelines.